Chocolate lovers are in for a treat — a KitKat pop-up is opening in London next week, and you can design your own KitKat flavour. 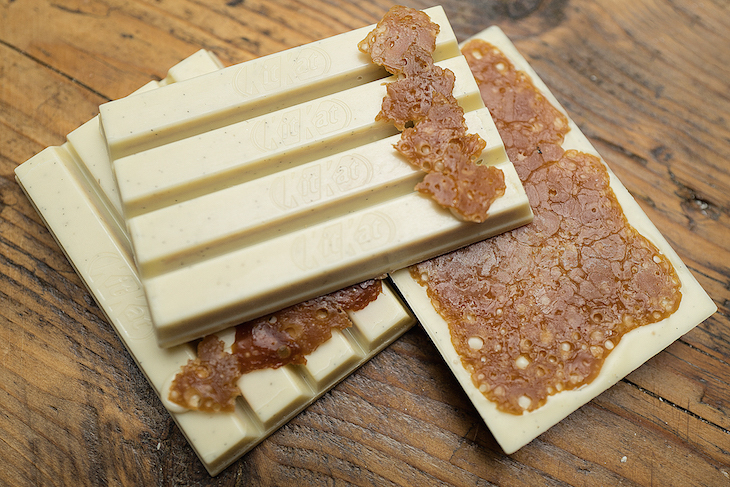 The KitKat Chocolatory is offering Create Your Break bars. Use tablet screens to select your base (milk, white or dark), and then add three toppings and choose from 16 "sensational inclusions". 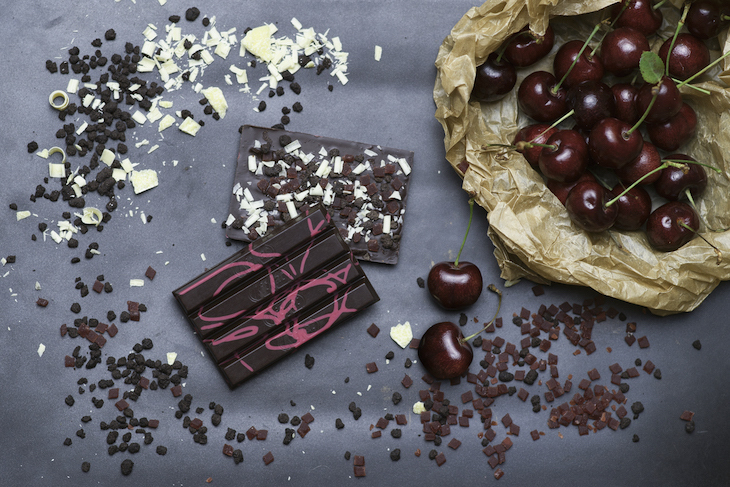 Unfortunately you won't be able to get hands-on in making the bar, but the team of "expert chocolatiers" will have it ready for you in an hour. If the choice is just too overwhelming, you can buy yourself a special edition KitKat — pre-created flavours which change on a weekly basis. Offerings on the first week will include sticky toffee popcorn, almond & salted caramel brittle, and salted caramel crème brûlée with Madagascan vanilla seeds. Michael O’Hare's chilli & mint bar. 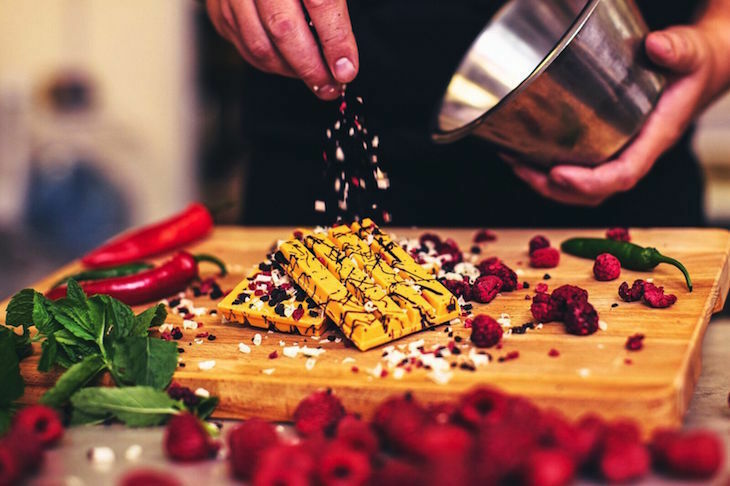 If you fancy splashing out even further, treat yourself to a signature edition bar — only available at the KitKat Chocolatory — designed by Michelin-starred chef Michael O'Hare, who's known for his outlandish creations. Choose between chilli & mint or dandelion & burdock. Salted caramel crème brûlée with Madagascan vanilla seeds. 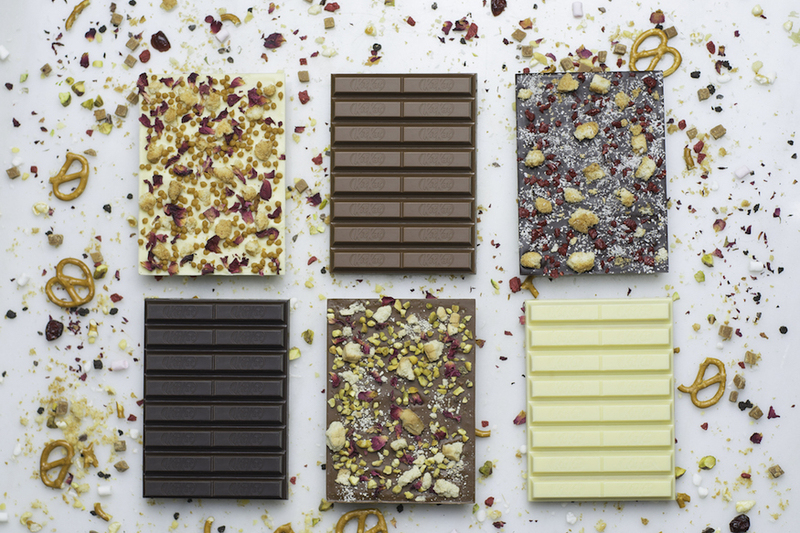 The KitKat Chocolatory opens at The Street, Westfield Stratford City, on 5 October for five weeks.